Middle Fork Cemetery was not found on the map as an identified place. 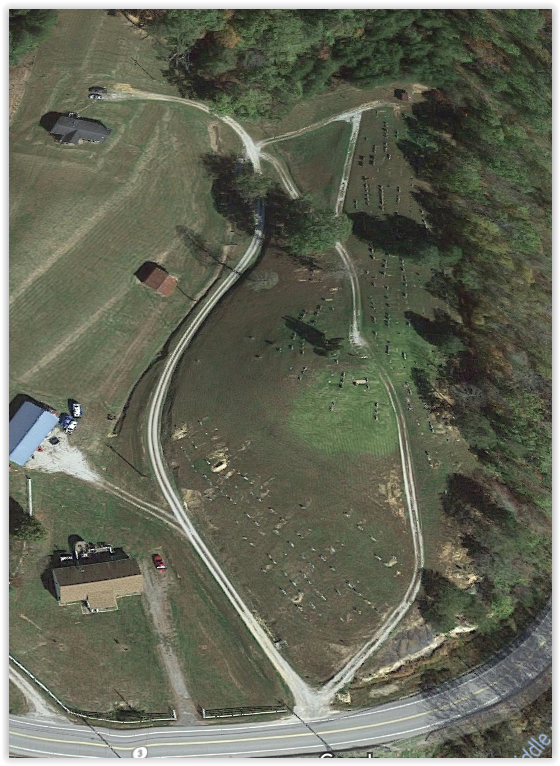 However, a medium-size cemetery was found along Straight Fork Rd. which runs along Middle Fork Mud River in Lincoln County, WV. 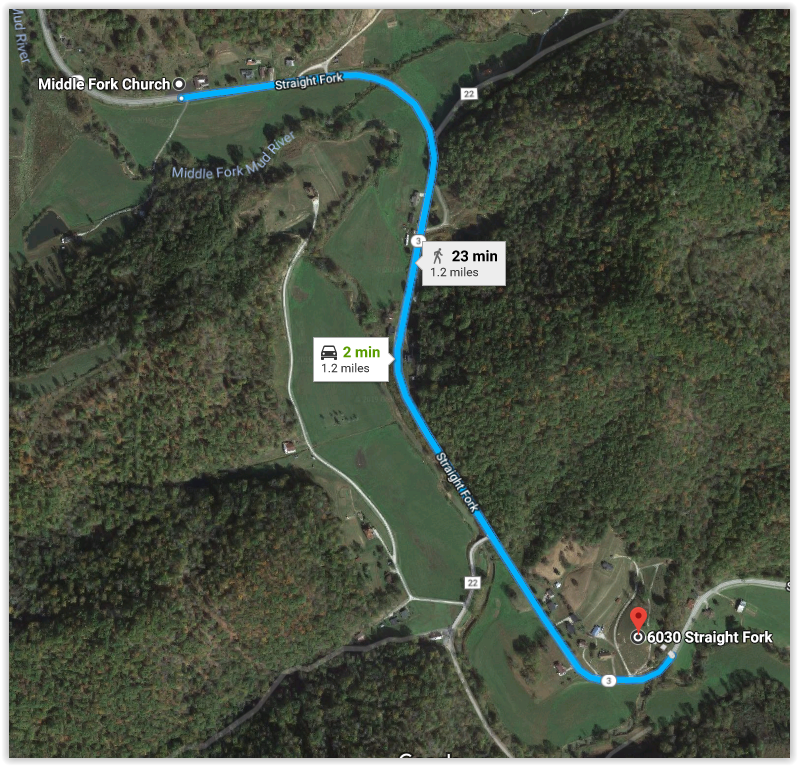 The cemetery is just over a mile from Middle Fork Church, also on Straight Fork Rd., and is about 5.6 miles from Hamlin. Very likely, this is Middle Fork Cemetery...the Middle Fork Mud River runs right next to the road there.